AMBIDEXTER (AUS) (Bay 2008-Stud 2013). 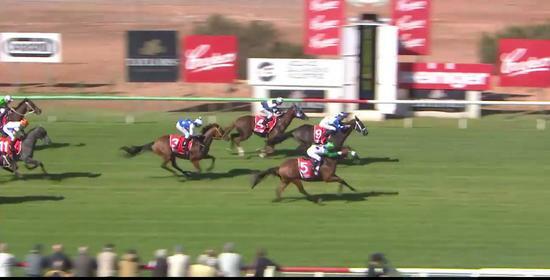 3 wins at 1400m, A$462,800, ATC Theo Marks H., Gr.2, 2d ATC Epsom H., Gr.1. Brother to SW Skilled. Half-brother to SW Sidestep. Sire of 27 rnrs, 12 wnrs, inc. Amberdi, Avanti Rose, Dexelation, Dexter You Devil, Modulate, Ambertone, I Am Dexter, Spectate, Ambishop, Dexter Dutton, Doublespeak, Ramp and of the placegetters Shezandi As, Ambibella, Dexter's Command, Dextiny, Little Minkia, Single Handed, etc. Nordic Eclipse (g. by Wilander). 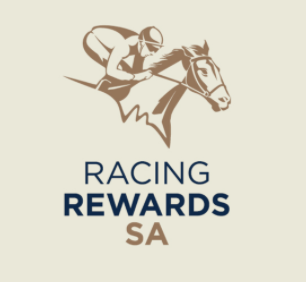 12 wins to 1200m, A$252,755, to 2018-19, SAJC Tattsbet Adelaide Cup Day H., Drink Driving? Grow Up H., Darley H., 2d SAJC John Shanahan H., Schweppes H., 3d SAJC Consolidated Plant H., Hughes Chauffeured Limos H., Oakbank RC Advertiser H.
Spoilspot (g. by Real Jester). 7 wins to 1250m, A$234,730, to 2016-17, SAJC Boag's Draught H., Mars Bar Nightclub H., Australia Day Races 26/1 H., Drink Driving? Grow Up H., Mac Drink Driving Grow Up H., 2d SAJC Len French H., Wendy Higgins Finance H., Medallion Homes H., Moet & Chandon H., Dulux H., Commercial Air P., Oakbank RC Drink Driving, Grow Up H., 3d SAJC Drink Driving? Grow Up H., Zonte's Footstep H.
Team Spirit (g. by Strategic). Winner at 1200m in 2017-18, HKJC Tuen Mun Riding School H., 2d HKJC Chaoyangmen H., Onyx H.
Thunder Hawk (Thunder Gulch). 3 wins from 1600m to 2150m, WATC Bold Kite H., 2d Geelong RC Derby Trial S., L, VRC Blevic H., WATC Invitational Classic H., Better Nutrition H., 3d WATC Budget 3 Day Weekend H., BTC Happy Birthday Robert Gordon H., 4th SAJC Veuve Clicquot S., L.
Show a Noee. 2 wins at 2, A$75,600, Qld Tatt's RC Hamilton Hotel 2YO H., 3d BRC Skyracing.tv 2YO H.
Hold On. 4 wins from 1200m to 1650m in 2017-18, 2d Toowoomba TC AG Rigging H.
Cit Cat Cooee. 6 wins to 1550m in Philippines. Mollyrose. 2 wins at 1250m, 1300m in Aust. Lavinti. Winner at 1200m in Aust. Rem Bem Booee. 5 wins. See above. Talisburg. 3 wins-1 at 2-at 1200m, 1500m in NZ and Macau, Avondale JC Customs Electronic Juvenile S.
End of a Decade. 2 wins at 1200m, Waikato RC Hamilton Caterers H., 3d Waikato RC Supporters H.
In the Brig. 2 wins at 1100m, TRC Braddon H., 2d TRC Laser H.
BEN'S ROCKET (Virginia Privateer). 11 wins from 1200m to 1600m, NZ$16,665, A$319,390, VRC Standish H., Gr.3, Winter Championship H., L, VATC Christmas H., L, SAJC Pope Packaging S., L, 3d VRC Brian Courtney H., L, VATC Barton H., L.
WARWICK CASTLE (Danzatore). 5 wins-1 at 2-from 1200m to 1800m, SAJC Walter Brown S.H., L, 3d SAJC Victoria Park S., Gr.3, Oaklands P., L, Pinjarra Guineas, L.
COME ON UP (Balmerino). 5 wins at 1600m, A$105,960, Gosford RC Belle of the Turf S., L, AJC Fred Alsop H., John Edmondson VC Welter H., Jack O'Sullivan H.
BOLD ALLIANCE (Balmerino). 4 wins from 1600m to 2150m, A$157,075, MVRC Tesio S., L, TRC Strutt S., L, 3d Australasian Oaks, Gr.1, SAJC Rain Lover P., Gr.3. Producer.